SBI PO preliminary exam result 2018 declared at the official website. Check out the list of shortlisted candidates. 17 July 2018: The State Bank of India (SBI) has announced the Preliminary exam result 2018 conducted for the post of Probationary Officers. Candidates who have appeared for the exam can check the result on the official website. The result has been declared two days after the scheduled date; earlier it was to be declared on 15th July; however, it was postponed to 17th July. The SBI PO Preliminary exam 2018 was conducted on 1st, 7th, and 8th July. Scroll down and click on ‘Current Openings’ option in the footer. 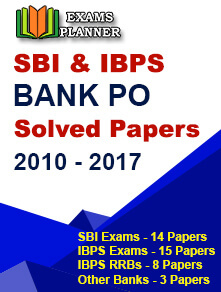 Find ‘Recruitment of Probationary Officers in State Bank of India’ option and click on ‘Preliminary Exam Results Announced’ link. The drop down will expand. Click on ‘Preliminary Exam Results (New)’ link. A PDF will open including the registration numbers of candidates shortlisted for the Main Examination. Use ‘CTRL+F’ command and then enter your registration number to check your result. The result of the candidate is provisional subject to fulfilment of eligibility criteria as stated in the official notification and correctness of the information provided at the time of registration. Candidates who have been shortlisted in the preliminary phase are eligible to appear for the Main examination. The SBI PO main exam 2018 has been scheduled to be conducted on 04 August 2018 (Saturday). The call letters/e-admit cards for the same will be available from 20 July 2018. Candidates are advised to download them well-before the exam from the official website. The result of the main exam is scheduled to be released on 20 August. Candidates who qualify the SBI PO Main exam will be called for the interview round, after which the final result will be announced tentatively on 1st November 2018. Both the exam will be online. 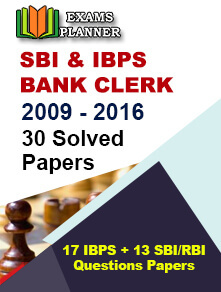 In the objective test, questions will be asked from areas namely reasoning & computer aptitude, data analysis & interpretation, English language, and Banking Awareness. In the descriptive test, candidates have to type the answers on the computer. The test will be of the English language where two questions will be asked on Letter Writing and Essay.